Emily Baines is one of the most exciting and versatile musicians working in the UK today. 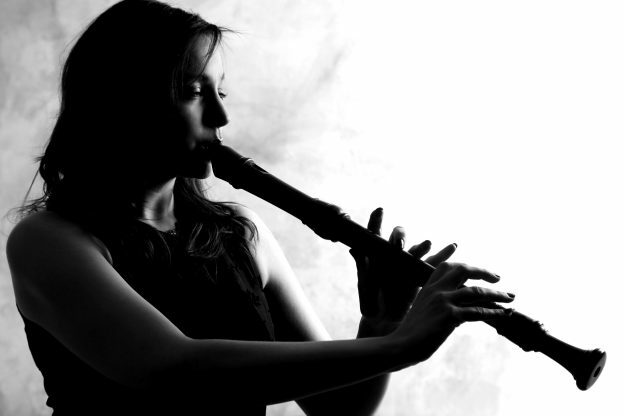 A specialist recorder player, she is also a skilled multi-instrumentalist performing worldwide on shawms, bagpipes and other early reed instruments. Emily’s work as a performer involves a myriad different roles, from concerto soloist and chamber musician to theatre band and actor/musician roles. As a musical director Emily is in increasing demand, her main work is currently in drama from the medieval, renaissance and baroque eras using both period and more contemporary musical styles. As a researcher Emily is predominantly interested in the performance of historical music. Her current research is investigating the style of playing found in eighteenth-century mechanical musical instruments and how that might influence contemporary attitudes to playing eighteenth century music. However research plays an important role in all avenues of Emily’s professional life from leading foot-tapping ensembles to scoring bloodthirsty Jacobean theatre.